Dr. Tupesis' primary interest lies in the development of new and innovative residency curricula and evaluation methodology. He is involved in projects establishing graduate medical education programs in resource-limited settings in both Liberia and Ethiopia, partnering with multiple other academic institutions. 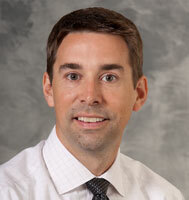 Dr. Tupesis' research interests focus on resident education and international health.